Modes of cultural transmission are, by analogy with modes of genetic transmission, ways in which cultural information is transmitted between individuals. Despite its importance across the behavioral sciences and for theories of cultural evolution, no attempts have been made, to our knowledge, to critically analyze this analogy. We here aim at such detailed comparison and show that the fundamental role of modes of transmission in biology results mainly from two properties of genetic transmission: (1) what is transmitted generally does not influence the way in which it is transmitted; (2) there is a limited number of simple and stable modes. In culture however, modes of transmission generally lack these two fundamental properties. In particular, in culture it is often the rate of evolutionary change that determines the mode of transmission. We offer some tentative explanation regarding the origins of such a fundamental difference and we conclude that cultural transmission modes are not causal mechanisms that govern the transmission of culture but mere descriptions of the way culture happens to be transmitted at a given time in a given community. 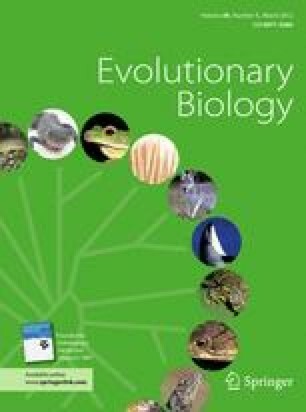 This shows the limit of the analogy between biological and cultural evolution and suggests that evolutionary models and theories differ substantially between the two domains. Nicolas Claidière and Jean-Baptiste André contributed equally to this work. We wish to thank Peter Godfrey-Smith, Hugo Mercier, Denis Roze, Eoin O’ Sullivan and two anonymous reviewers for their valuable comments on an earlier version of the manuscript.